‘Anarchy’ is a term that, for many Westerners, is synonymous with ‘chaos’. However, it also describes political systems that can be highly organised and stresses the importance of individual rights, democratic control, and a lack of state power. Anarcho-syndicalism, where workers democratically control workplaces, is one type of anarchy. Spain is the only country to have had revolutionary anarcho-syndicalism on a massive scale, which was spontaneously implemented during the Spanish civil war. In addition, the world’s largest contemporary workers cooperative, Mondragon Corporation, is also found in Spain. It is an organisation that is owned and controlled by its workers, democratically, from the ground up. This essay will use Spain as a case study to in order to establish the link between historical and contemporary forms of worker participation. First, this author will review Spanish history to illuminate the historical context in which Mondragon and anarcho-syndicalism took root. The ideology and practicalities of the revolutionary syndicates will be examined, as will the decline of worker participation, and the end of unionism, after the defeat of the Second Republic, by General Franco. Secondly, a brief description of life in Mondragón in the Basque region, and the arrival of Don José Maria will give a historical background to the formation of Mondragon Corporation. This essay will argue that the extent to which Mondragon has been informed by anarcho-syndicalism is debateable, although they are somewhat ideologically similar, the political environment when each organisational form was established was vastly different. Spain is one of the oldest states in Europe, beginning with the Visigothic monarchy in the sixth century (Payne, 2012). Geographically, it has mountain ranges that separate parts of the north, which has given the country an ongoing linguistic diversity. It has had two periods of political stability and economic growth. The first, in the sixteenth century, where Spain had the first empire in which the ‘sun never set’, having colonised much of South America and the Philippines (Payne, 2012). The second period of political stability, known as the silver-age, began in 1876 where citizens were afforded basic civil rights, and significant economic and educational progress was made (Encarnación, 2008; Payne, 2012). There have also been periods of relative instability. Between 1814 and 1874 there were 37 attempted coups, often as pronunciamientos by military units, which invited other political groups, and military units, to join them in order to overthrow the government (Encarnación, 2008; Payne, 2012). At the end of the silver-age trade unions and socialist parties had formed and were becoming hostile the state. While the Partido Socialista Obrero Español (PSOE, Spanish Socialist Party) and the Unión General de Trajabadores (UGT, General Union of Labour) were relatively peaceful, the anarchist trade union movement Confederación Nacional del Trabajo (CNT, Confederation of Labour) and the small Partido Comunista de España (PCE, Spanish Communist Party) often used violent means against the government (Payne, 2012). By 1923, a temporary dictatorship had been established in Spain by General Miguel Primo de Rivera, which lasted until 1930, and on April 14, 1931, the second republic was born (Payne, 2012). The Second Republic was formed after the dismissal of General Rivera by the King, who subsequently abdicated his throne (Payne, 2012). The new Republic was governed initially by left Republicans, PSOE and the centrist Radicals (Payne, 2012). A constitution was ratified that limited the role of the Catholic Church in Spain, ending financial support for the Church and nationalised their land holdings (Encarnación, 2008). Waves of violence against churches failed to be condemned by the government of the Second Republic, in a country where a significant proportion of the population were still Catholic; this approach did not always find support with the population (Encarnación, 2008). During the Second Republic, ideological positions became more entrenched, which culminated with the electoral victory of the Popular Front, containing parties from the radical left, in February 1936 (Encarnación, 2008). The regime was particularly hostile towards anyone described as a ‘rightist’, including political arrests and growth of political violence. As a response to this, General Francisco Franco led a rebellion on July 18, 1936, which became a civil war (Payne, 2012). 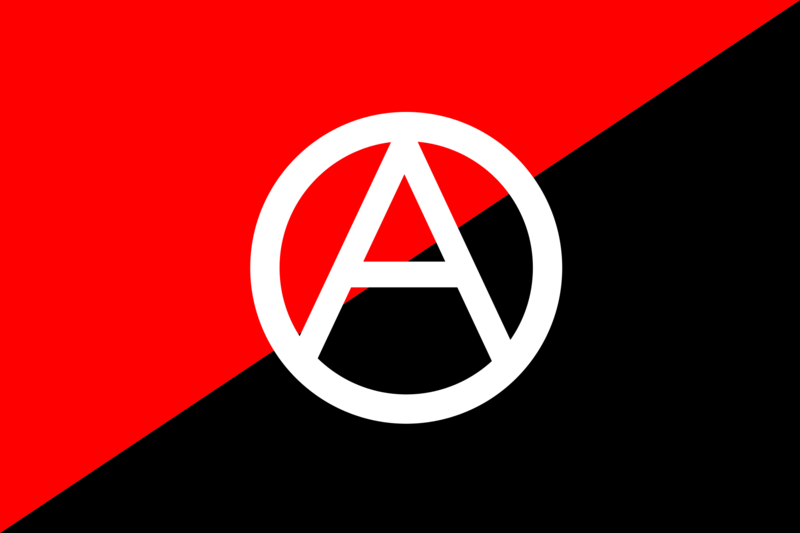 Anarcho-Syndicalism became widespread in Spain during the civil war. Anarcho-syndicalism is defined by Rocker (1947) as “the abolition of all economic monopolies and the common ownership…of the means of production”, at the same time differentiating itself from socialist movements by being “against all institutions of political power” (p. 19) and that “happiness and prosperity of the individual must be the standard in all social matters” (p.18). In Spain, the CNT, and the more moderate UGT are associated with organising and helping to collectivise workers both rurally and in urban areas to achieve these goals (Payne, 2012). Agricultural collectives, which usually had around 300 people, would agree to take over and run the land in common, while still maintaining private property rights an area set aside for families to grow crops, for clothes, furniture, and farm animals (Mintz, 2013; Ovejero, 2010). Anarcho-syndicalists do not just have economic goals, however. Since they also rejected the state, localised collectives managed “the whole spectrum of social life” (Ovejero, 2010, p. 525), which could include abolishing money, dismissing priests, and establishing schools. Each collective had a constitution to set the rules of the particular collective (Ovejero, 2010). Around 1.8 million people participated as anarchists during the period from 1936 to 1939, with a substantial number of collectives established in both agriculture and industry, which makes it the largest ‘grass-roots’ collectivisation in history. The success of anarcho-syndicalism is contestable. Firstly, a number of authors mention the difficulty of studying anarcho-syndicalism as both the Republican historians and the Francoist right sort to bury that history (Chomsky, 2014; Mintz, 2013; Payne, 2012). Secondly, while economic progress during the revolution was poor, the revolutionaries were also fighting a war, and goals shifted from producing excess economic output to self-sufficiency (Payne, 2012). Chomsky (2014) questions this need to ‘advance’ and what kind of advancement would be required, contesting narrowly defined economic progress as a measure of human development. Therefore, assessing economic output is at odds with what the anarchists were trying to achieve. Payne (2012), however, points out that the Republican zone’s productivity decreased during the war to the point that the Republican zone was “facing famine conditions” in 1938 (p. 101). Therefore any notions of human advancement must take into account the abject material conditions of the Republican zone during the war. The revolutions in Spain, during the civil war, however, are the only spontaneous worker’s revolutions in the historical record, that were organised democratically from the bottom up on such a massive scale. Francoist Spain put an end to revolutionary activity and initiated four decades of authoritarian rule, however, the regime later created the conditions for an eventual return to democracy. Once Franco came into power, he outlawed political parties and trade unions (Encarnación, 2008; Payne, 2012). Adversaries, which included “virtually anyone opposed to the dictatorship” (Encarnación, 2008, p. 22), were punished either by fines, imprisonment, and confiscation of property. Those who committed ‘high crimes’ were sentenced to death (Payne, 2012). Initially, Franco was a brutal and vindictive ruler, although it has been said to have been the least ideological dictator, pragmatically blending a conservatism, nationalism and religiosity (Encarnación, 2008). Economic policy for the first decade followed an “autarky” policy, which meant rigid self-sufficiency, that isolated Spain from the rest of the world (Encarnación, 2008). This policy direction had dire consequences for the country’s population, who, by the 1950s, experienced shortages of food, rampant inflation, and corruption. In 1959, a plan to liberalise the economy contributed to los años de desarrollo, or the years of development, which increased industrial output and led to a massive increase in tourism. This helped to increase GDP per capita and resulted in a partial erosion of class differences (Encarnación, 2008). The eventual reestablishment of pro-democratic labour movements occurred in the 1970s. These movements, along with the church, that was beginning to dissent against the regime, and universities that were becoming increasingly critical towards the regime meant that upon the death of Franco in 1975, Spain moved towards a re-establishing full democracy. A corporatist approach was taken to manage class conflict both during the Franco years and after the transition to democracy. As aforementioned, Franco outlawed trade unions, but the regime also shut down the peak employers body, Unión Nacional Económica (UNE). To replace both, he introduced the Organazación Sindical Española (OSE) which created state-managed “vertical syndicates” that helped to manage conflicts between workers and employers (Encarnación, 2008). Franco had an “easy going attitude to wage demands”, with the employers able to raise prices, and used inflation as a way to control any conflicts that arose (Perez-Diaz, 1986, p. 6). Using the state to manage these conflicts meant that both labour and industrialists’ organisations were underdeveloped when the transition to democracy was imminent (Perez-Diaz, 1986). For example, Encarnación (2008) describes the UGT as “a few thousand people in Basque Country” and the Comisiones Obreras (CCOO, Worker’s Commissions) as “in better shape…but only by comparison” (p. 81). UGT and the CCOO are now the dominant labour unions while the Confederación Española de Organizaciones Empresariales (CEOE), formed in 1977 is the peak employers body (Encarnación, 2008). A number of social pacts were conducted between 1977-1986 and 1994-2005, where the various peak bodies negotiated labour relations, social policy and wage policy. This contrast with earlier periods where the state, unions and employers were often militant, and would not work together. The Mondragon Corporation was established during the Franco era. José María Arizmediarreta (Don José María), a priest, arrived in Mondragón, a town in the Basque region, in 1941 (Whyte & Whyte, 1991). María had participated in the war effort against Franco, establishing and editing newspapers for the Basque military, in Euskera, the native language of the Basque region (Whyte & Whyte, 1991). María was a reflective priest and had a keen interest in social justice, eventually leading to conservative townsfolk in Mondragón to label María as ‘that red priest’ (Whyte & Whyte, 1991). Mondragón was a town that had serious class divisions under Franco’s regime, where the working classes were poor, unemployed and living in overcrowded housing (Whyte & Whyte, 1991). With local enterprises having excluded all but the sons of management from persuing education, María set up an educational institute in the town to educate boys of working class families in technical instruction. The school expanded as the first group of students progressed to a new level, eventually graduating its first cohort of students with peritaje industrial, which is equivalent to an undergraduate degree (Whyte & Whyte, 1991). These first students, with the help of María, established the first cooperative, which later established a constitutional framework has served as the basis for all other cooperatives within Mondragón (Whyte & Whyte, 1991). The Mondragon Corporation, today, is a group of cooperatives that work together in order to maximise their worker-member’s social and economic goals. Mondragon has over 71,000 employees, and 261 businesses and cooperatives across the globe (Mondragon, n.d.). While Flecha and Cruz (2011) suggest that cooperatives are often focused on ideology at the expense of sound business practices, Mondragon has had “remarkable success” (p.158). Flecha and Cruz (2011) list a number of reasons why this is the case, including high levels of profit reinvestment, a central banking company for all the cooperatives, open intellectual debate, social security measures and democratic structures (Flecha & Santa Cruz, 2011). The democratic basis of Mondragon starts with the general assembly, in which members have the right and obligation to vote (Flecha & Santa Cruz, 2011). The general assembly elects the governing council made up of workers, who employ a manager, who is similar to a CEO of a private enterprise. The manager may participate in the governing council but has no vote (Whyte & Whyte, 1991). There are also management councils, made up of department heads to organise day to day running of the business, and a social council, that deals with health and safety, social work activities and social security (Whyte & Whyte, 1991). There are a number of measures for dealing with adverse macroeconomic conditions, such as the ones experienced during the Global Financial Crisis, in 2008/2009, by lowering wages, reducing capital reinvestment, or a combination of the two (Elortza, Alzola, & López, 2012). Workers who received lower pay were also able to receive assistance from the Lagun-Aro, or a centralised employment insurance fund within the Mondragon Corporation, which was created in 1959 (Flecha & Santa Cruz, 2011). Internal distributions between cooperatives also help to keep a cooperative operating and to maintain a sense of solidarity between cooperatives (Flecha & Santa Cruz, 2011). Both from a social and economic perspective, Mondragon has been very successful. The extent to which historical examples of Spanish worker participation has informed Mondragon’s practices is debateable. The founding father of Mondragon, Don José María, was interested in social justice, and it is highly doubtful that he would not have studied the revolutionary anarcho-syndicalist movements that were so widespread in many regions in Spain. He also participated in the civil war on the same side as the revolutionaries, fighting against Franco’s army, so it is likely he would have been sympathetic to the movement. Moreover, between 1941 and 1956 María had conducted over 2000 studies that were either sociological or religious, that would have also likely included exploring ideas from anarcho-syndicalism (Azurmendi, 1984 as cited in Whyte & Whyte, 1991). María was influential during the debates over the structure of the first worker cooperative (Flecha & Santa Cruz, 2011). Both anarcho-syndicalist movement and the first Mondragon cooperative, grew out of heightened class antagonisms, although the political environment could scarcely be more different. The anarcho-syndicalism movement grew where there was a lack of authoritative power in Spain, both because the republic was fighting Franco, and the fragmentation of many belligerents on the Republican side of the war, and because a number of external countries were also intervening in the Spain. In contrast, Mondragon established itself under Franco’s rule. Ostensibly, this might seem like the worst conditions in order to establish a cooperative; however, the church did have extensive power under Franco, which probably assisted María in being able to create the institutes. Some of the later developments were also influenced by the regime, such as the establishment the Lagun Aro, which was brought about because Mondragon’s members, who were also business owners, were not able to be included in the countries social security system (Flecha & Santa Cruz, 2011). Somewhat ironically, then, many of the structures that have made Mondragon so successful were established due to a necessity that arose out of Franco era economic and social policy. Therefore, it is highly likely that anarcho-syndicalism and earlier workers movements did influence the ideological formation, if not the practical implementation, of workers cooperatives in Mondragón, Basque. Spain has had periods of relative political stability and instability. Anarcho-syndicalism was born during a period of instability, during the Second Republic, where the Republicans had many internal divisions, and they were fighting fascism. In contrast, the Mondragon Corporation was formed during a period of stability, albeit ruthlessly enforced, under General Franco. Classic class antagonisms were present both during the Second Republic and under Francoist rule, although unions and other civil society groups were outlawed under Franco. The church, however, gained importance during the Franco era. This combination of factors led ‘red’ priest Don José María to create a school for working-class families and eventually assisting with the establishment of the first Mondragon cooperative. Ideologically, Mondragon shares some of the same ideology as anarcho-syndicalism but is more pragmatic in many ways, which include recognising state power, and setting up elaborate governance structures. This practical approach to worker democratic control and ownership led to its longevity and apparent success. While it seems unlikely that revolutionary forces will overthrow the state and establish robust and sustainable anarcho-syndicalism in contemporary Spain, it is more realistic to implement policy that encourages workers cooperatives, both because it is good for citizens to participate democratically in their workplaces, and because they can be economically beneficial to their worker-members and society. Chomsky, N. (2014). On Anarchism. London, England: Penguin Books. Elortza, N., Alzola, I., & López, U. (2012). La gestión de la crisis en la Corporación Mondragon. Ekonomiaz, 79(1), 59–81. Encarnación, O. G. (2008). Spanish politics: Democracy after dictatorship. Cambridge, UK: Polity. Mintz, F. (2013). Anarchism and Workers’ Self-Management in Revolutionary Spain. (P. Sharkey, Trans.) (Reprint edition). Oakland, CA: AK Press. Ovejero, A. (2010). Spanish libertarian collectives: A unique historical case of worker self management. WorkingUSA: The Journal of Labor and Society, 13(1), 521–535. Payne, S. G. (2012). The Spanish Civil War. Cambridge, UK: Cambridge University Press. Rocker, R. (1947). Anarcho-Syndicalism: Theory and Practice. Indore, India: Modern Printery. Whyte, W. F., & Whyte, K. K. (1991). Making Mondragon: the growth and dynamics of the worker cooperative complex (2nd ed., rev). Ithaca, N.Y: ILR Press.